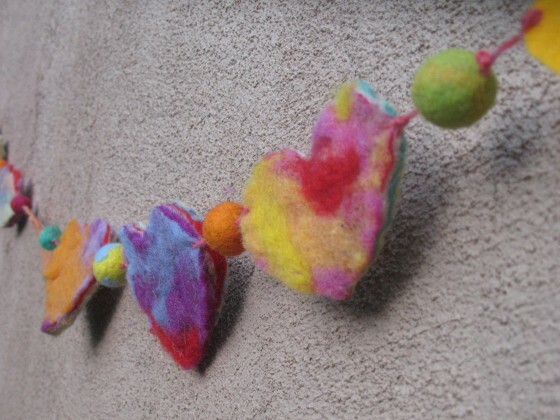 For valentines day we decided to make felt heart garlands. First we needed to make a piece of felt. This is one of the finished pieces we made. It is about 1/2″ thick. 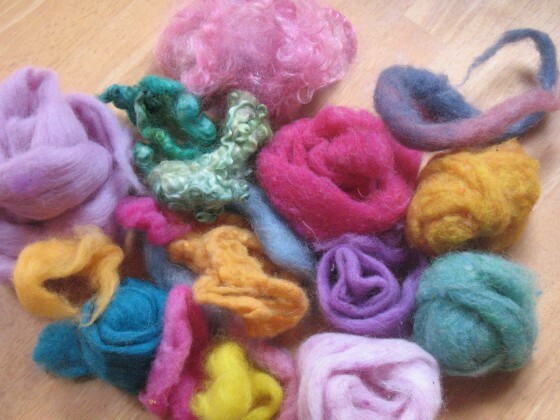 To begin, you will need a selection of wool “roving”. 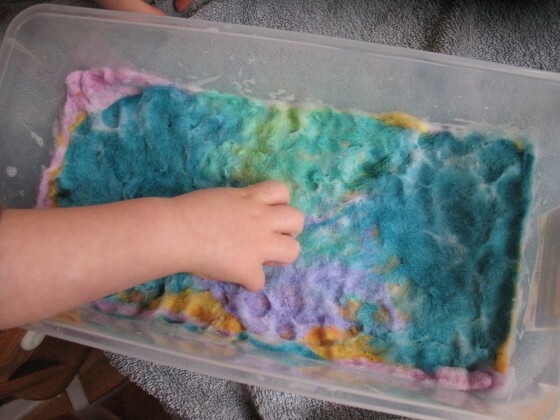 It is basically fluffy, un-spun, dyed wool fiber. 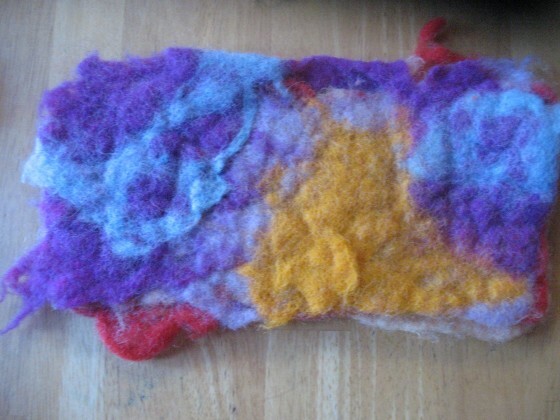 You may use one color or multiple colors to make your felt. This is the color palette we used. You will also need a plastic bin or tub. Any size will do. The bottom of the tub will be the approximate size of your finished piece of felt. You will also need some dish soap. 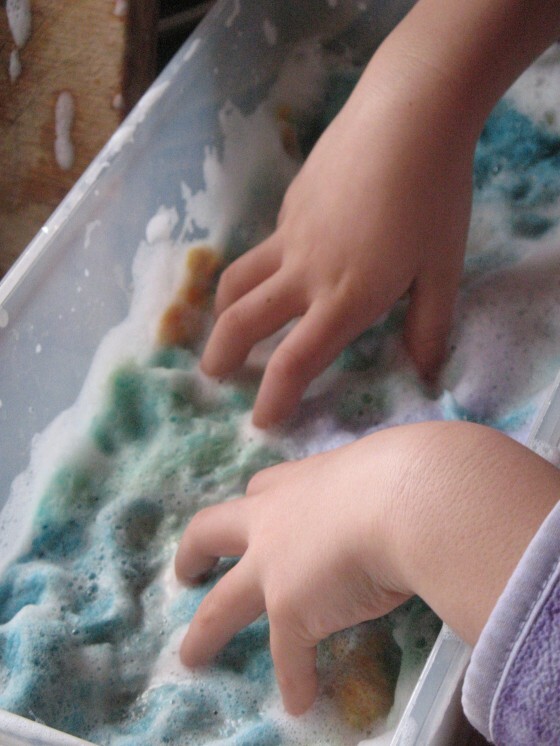 First fill the tub with hot water and enough dish soap to make the water very sudsy. Just 1″ in the bottom is enough for now. 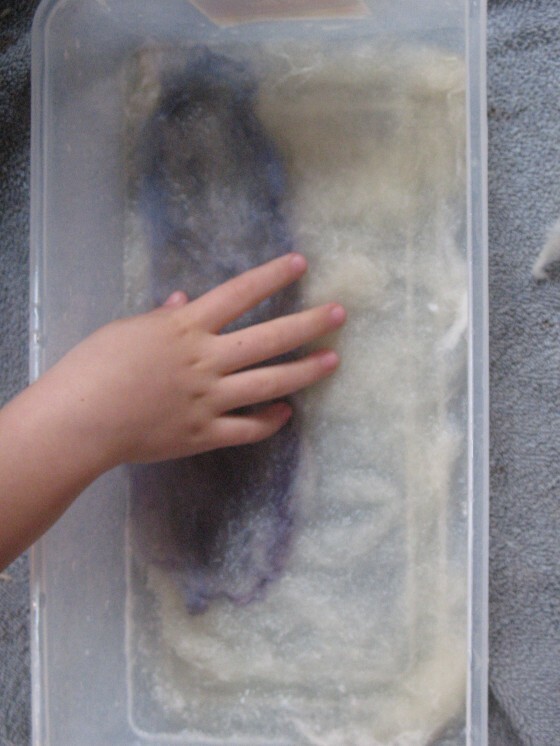 Then, add your first layer of roving to the tub, placing all of the fibers in one direction. In this picture we started with white. Next, you will place your second layer of roving on top of the first layer, but this time alternating the direction of the roving. You can see here that the white roving is lying horizontally, and we started the blue layer lying vertically. As you add each layer, work the felt with your finger tips, gently massaging the felt. 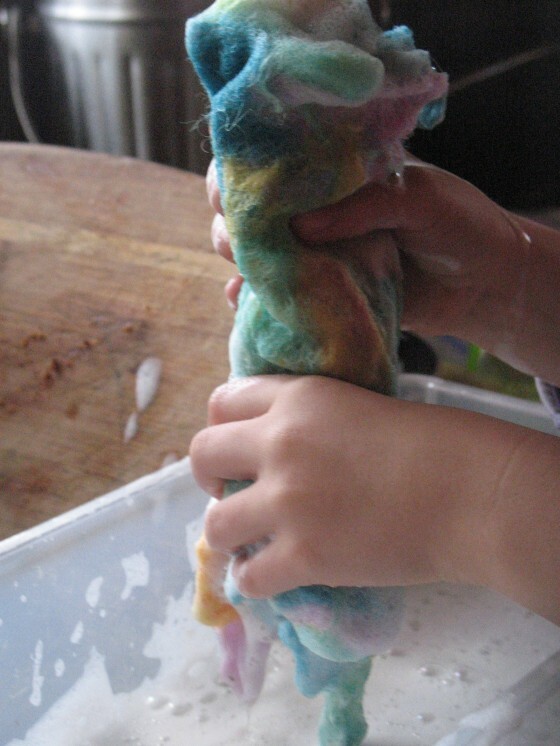 This agitation, along with the hot soapy water, felts the wool fibers together. If the water cools off, add fresh very hot soapy water. Work the fibers more with your finger tips and flip the whole thing over, and then work the other side. Do this until the fibers are very well locked together and totally integrated. This can take a while, so be prepared. You will know the wool is felted and finished when you lift it up and it is one solid piece of fabric, with no stray pieces hanging off. Ring out the felt and rinse until the water runs clear. Lay the felt out to dry. 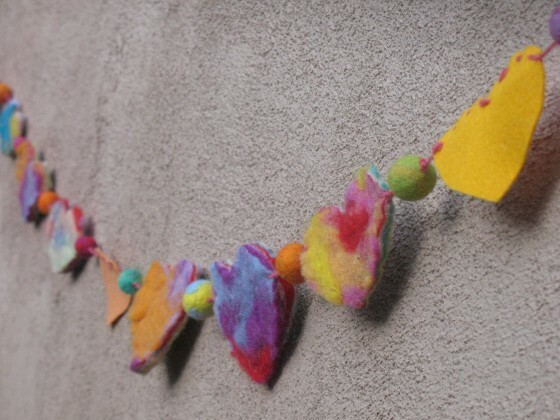 With our finished dry felt, we cut out hearts and made a valentines garland. If you use multiple layered colors to make the felt, you can see the layers very clearly when the felt is cut. Love the colors, the texture and final design, but most of all love the little hands.